Feeling the love for Superman! Thanks for all the wonderful cards and ornaments from marley middle school and the Acc classroom. Also a big thank you to Drink at the well for the Christmas card. Superman is doing okay today. He was having some problems with dstating this morning when the removed the bypap this morning. So they put him back on it. Thank you all for the prayers and positive thoughts. Please continue to pray for my Superman. Merry Christmas eve to everyone. I hope everyone has a wonderful Christmas tomorrow. Author 14dfkPosted on December 24, 2018 Categories # Ellen DeGeneres, AACPS, Bus aids, Dukin Donuts, Ellen, epilepsy, exercise, Family, heroes, John Hopkins, Life, Medical Marijuana, people, Religion, seizures, Special Needs, Superman, Surgery, Uncategorized, VNSTags # Dr Oz, # Ellen DeGeneres, absence seizures, abysmal, accident, allergic reaction, Almighty, amazing, anesthesiologist, Angel, anger, antibiotic, autism, Baltimore, battle, beast, beautiful, behavior, blood, body, boy, brain, brighter, brother, bruises, Cannabis, CBD OIL, Charlotte's Web, children, Christmas, chromosome, condition, crying, dark, Darkness, dayLeave a comment on Feeling the love for Superman! Author 14dfkPosted on November 5, 2018 Categories AACPS, Bus aids, Dukin Donuts, Ellen, epilepsy, exercise, Family, heroes, Life, Medical Marijuana, people, Religion, seizures, Special Needs, Superman, Surgery, Uncategorized, VNSTags # Ellen DeGeneres, absence seizures, abyss, allergic reaction, Almighty, amazing, anesthesiologist, Angel, anger, antibiotic, autism, Baltimore, battle, beast, beautiful, bed, body, boy, brain, brother, bruises, Cannabis, CBD OIL, Charlotte's Web, chromosome, complications, Darkness, day, Destiny, Diapers, difficult, dreamLeave a comment on Another update on Superman!!! We had a surprise party for Jeff it was his 50th Birthday. He received a few joke gifts. One was a cane filled with different things on Superman posed with the glasses from the cane. 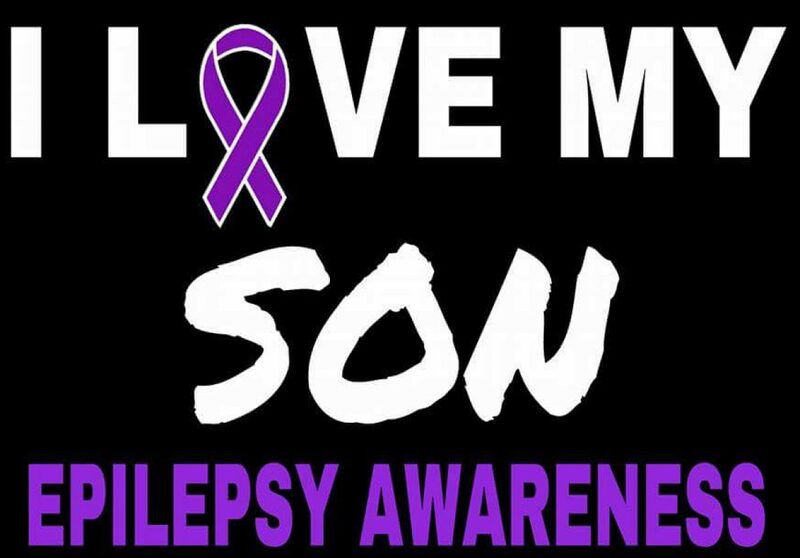 Author 14dfkPosted on May 18, 2018 Categories epilepsy, exercise, Family, heroes, Life, Medical Marijuana, Religion, seizures, Special Needs, Superman, Surgery, UncategorizedTags amazing, Angel, beautiful, birthday, brain, brother, child, children, chromosome, Crawl, day, defenseless, family, intellectually challengedLeave a comment on Silly glasses!!! This guy right here is hitting puberty and becoming a typical teenage boy by not wanting to do anything. The school is after me again to put him in a wheelchair because he will not walk off the bus. I told the lady on the phone that he was walking on the bus because, I will put him on the bus and they can use a wheelchair to get him off but, that is not good enough for them, they want to come out Monday to watch him get on the bus. I am sticking to what I said because I believe if he gets in a wheelchair he won’t want to do anything again. He needs to get up and move around so the wheelchair is a no go. Author 14dfkPosted on September 22, 2017 Categories epilepsy, exercise, Family, heroes, Life, Medical Marijuana, Religion, seizures, Special Needs, SurgeryTags body, brother, day, faith, friends, Games, Medical, parents, peace, school, spirit1 Comment on Aggravation! We made an appointment to see a Neurologist at Sinai hospital in Baltimore city. The Neurologist was supposedly one of the best around. We met him and he had all of Dylan’s hospital records from the previous seven years. Our first impression was a good one of this gentleman. He seemed very knowledgeable and genuinely caring. He played with Dylan and made us feel at ease. He talked about a treatment program that we should start and the first medicine he prescribed for Dylan was a seizure medication known as Lamictal. Lamictal would have the least effect on Dylan’s cognitive skills, so the neurologist explained. We began to give him this new medicine and right away, the seizures stopped. He was doing so well on this medication. We felt like the seizure activity that he had been experiencing was just a little hic up in his overall health, but now with this new medication, he would be back on track. He continued to make progress and the seizures hadn’t effected his cognitive skills as of yet. He was loving on a new show Yo Gabba Gabba and his favorite character on this program was a little fuzzy monster-like dude named Broobie. Dylan quickly learned the songs on this show and began to sing them. His favorite was called “Party in my Tummy” I still remember Dylan saying, “Does the green beans want to go to the party in my tummy?” He would wait several seconds before answering that question, “Yeah” then he’d break into the song, “There’s a party in my tummy, so yummy, so ,yummy, there’s a party in my tummy!” You get the gist of it. We weren’t really concerned about Dylan’s cognitive skills. He continued to learn how to say words and use sentences. We understood that most of his language was mimicking what he heard, but, he did know and understand so much. Maybe we should have been more concerned, but at the time there was no indication that he would regress and become nonverbal. After about two weeks of taking the Lamictal Terri noticed a slight rash around his mouth. We weren’t sure what it was so she called the neurologist to voice our concerns. He asked us to watch him overnight and see if the rash got worse. He never told us to stop giving Dylan the Lamictal. The next day the rash had spread all over his body and he was covered in big blotches. His skin looked as if he had an extreme sunburn. We called the neurologist and he told us to bring him into his office right away. We took him into his office and he said, “I was hoping that this wasn’t going to happen? He’s having an allergic reaction to the medication. He then prescribed some antibiotics to begin giving to Dylan right away. He told us to discontinue the Lamictal. We took him home and gave him the antibiotic. It was about a week before he was better. The neurologist then prescribed Clonazepam tablets to begin giving him. These things would begin to have Dylan spacing out. He slowly began his dark decent into an abysmal place where we weren’t sure if we could ever get him back from. We had gone through some very tough times before Dylan began to have these seizures. I have already mentioned how Terri went into the hospital to have surgery to remove her gallbladder. It was supposed to be a very quick and easy procedure; a same day procedure. It would be done with the doctor using endoscopic surgery. This minimally invasive surgery was supposed to be an easier and safer way for Terri to have her gallbladder removed, however, the surgeon ended up cutting a bile duct and bile from her liver began draining into her stomach. She nearly died and she had to be transferred to John Hopkins Hospital where a well renowned surgeon who had invented the surgery to fix her practiced at. He saved her life. I touched on this just a little, because about three years after Dylan was born, Terri developed a pretty big hernia, most likely from carrying around Dylan. She had to schedule another surgery with the doctor who had created a new bile duct using part of her large intestine to do it. He would perform the hernia operation, because, we didn’t trust any other hospital or doctor around. She had complications and ended up in the hospital for two weeks. She was so upset, because she kept thinking Dylan would forget who she was. He slept with me on the couch for those two weeks, which was a binding experience for the both of us. When Terri was released from the hospital, I tried to take some time off the job I had been working for the last ten months, but, because I hadn’t been there for the entire year, I was told by their HR department that I could not do it. I had no choice to resign to take care of Terri and the children. It was a tough dark time in our lives. I can’t mention the name of the company I was working for at the time, because they may sue me if I was to, but let’s just say that they were an up and coming Baltimore Clothing company that has ties to the NFL and whose clothes can now be seen in movies, and even other sports franchises. They were not very family friendly and it is sad that the owner got rich off the backs of his workers and didn’t care if those workers had families or more important things to attend to. I could say Karma is well you know. I know I am being so cliché. Anyway, it is my sincerest hope that the owner will one day reap what he has sown!